Materials: book, typewriter type, digital inkjet prints. 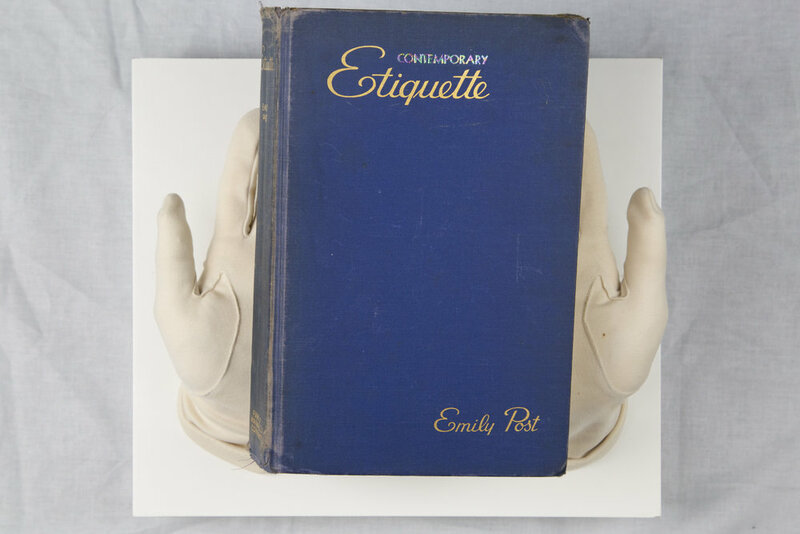 Altered copy of “Etiquette” by Emily Post (1922). 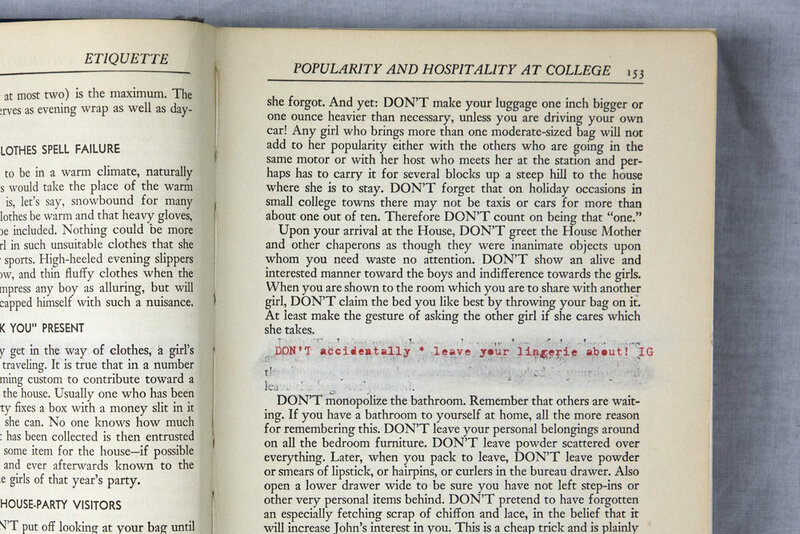 I erased portions of text with diluted bleach and replaced the text with typewriter text. I sewed digital images into the book to contrast the published images. The book rests on resin casts of my hands, which are wearing my grandmother's white gloves.